Holliday Grainger and other cast members on the set of ‘Bel Ami’. Beautiful. 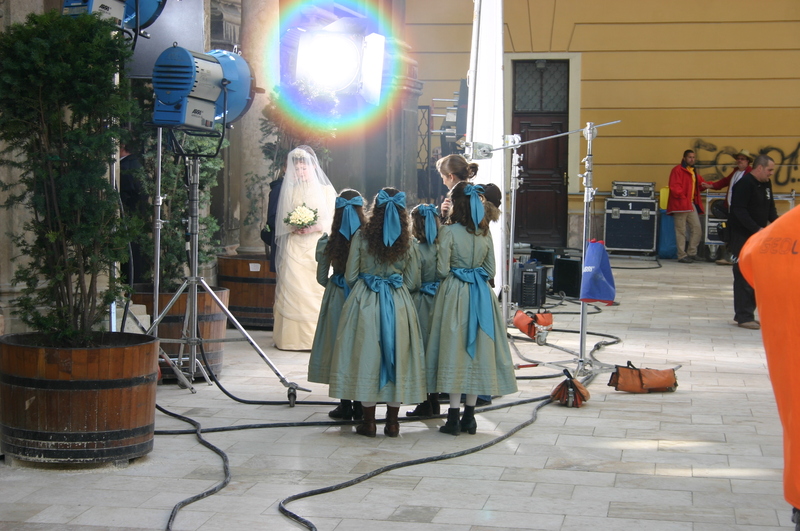 5 Responses to "NEW Beautiful pictures of Holiday Grainger on the set of ‘Bel Ami’"
Holly/Suzanne is a beautiful bride. The photos are marvellous. The dresses are all magnificent. I especially love the one with Suzanne’s mother all in black. One of my favorite scenes in the book! But I pictured Suzanne MUCH blonder like she was in the book. Only thing wrong with these pictures is that they aren’t real pictures of me as the bride heading down the aisle towards Rob…sigh…Ok – went crazy for a second. Seriously though, these are great.